 Keep your codes clean and clear in web applications and software/desktop applications with MVC Framework. Kaushalam developers offer top-notch services for MVC framework. Take advantage of this technology for impressive results. You will get a solution that offers perfect business logic, database access and presentation. You will have full control over the performance of the solution. MVC Framework divides applications into three interconnected parts - business logic, database access and presentation. to write their own rules for Model, View and Control. MVC Framework offers application that’s already SEO-friendly, reducing your promotional costs. Our effective solution will turn you into a big player. Guaranteed to offer impressive results, the solution comes with many extras.